We all played a game in our child hood Forget that ? whenever the water stops at roadside, Fields. we just take a stick and make a route to flow of water. May be this game developers also did the same thing But in the another way. Yeah !! They did in digital way. Here there is no need of stick. You’re not a fighter. Isn’t ? Ahh Just joking. Here we are using our fingers to play this game. where is the water 2 is a puzzle video games. 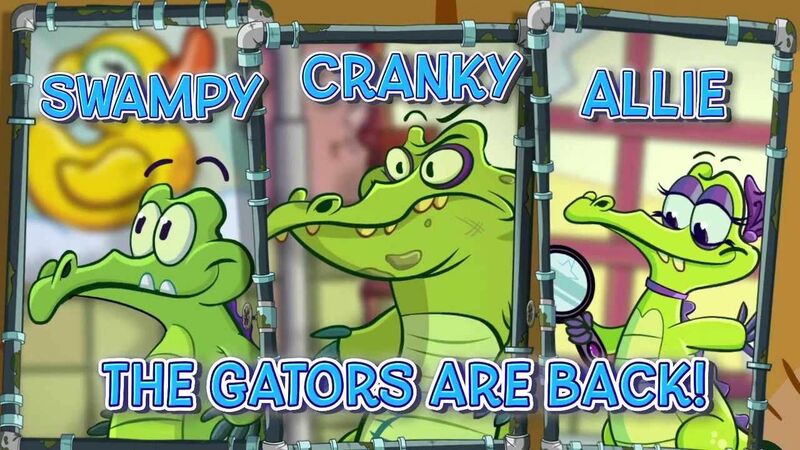 There are 3 types of crocodile namely swampy, allie ,crankie. 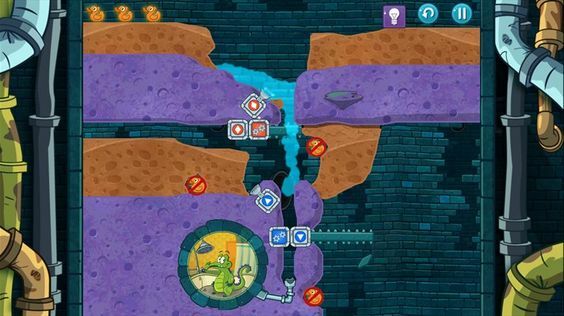 Cut through dirt, and guide fresh water, purple water, and steam to help Swampy and his friends!. Three brand new locations including the Sewer, the Soap Factory, the Beach. Best of all, the puzzles Certain levels are also populated by hazards that must be avoided or removed. For example, some levels contain algae that will absorb water and grow. Other types of fluids will sometimes appear, such as purple poison/acid, reddish mud, and green ooze/slime. A single drop of poison will contaminate pure water, turning it into poison as well, while the ooze will erode through the dirt and react with water, destroying both fluids Avoid the doll toys. This game will make you think more and more. Points are awarded for the amount of time taken to complete the level, for collecting rubber ducks and for delivering more than the minimum amount of water to Swampy’s tub. Collecting a certain number of rubber ducks will also unlock new groups of levels. Gamers should make the flow of water by removing the dirts as faster. This game is very interesting puzzle.